September 10, 2018, 9:30pm. About Me. I was not able to post any information other than the post I posted this morning (British Currency: PENCE). At 12:30pm a virus appeared on my computer and before I went to Best Buy Geek Squad and Stop & Shop supermarket, I took a nap, and when I came back after I ate dinner and read some pages in the book I am currently reading (Madewell Brown, a novel by Rick Collignon), I napped again. I am physically, mentally and emotionally exhausted. This morning an advertisement for apartments in the Bronx was advertised at Market Watch (Wesley lives in the Bronx, in an environment, a sort of shelter, that is so inhospitable [for example, heavily infested with mold, several weeks ago for a few days, no toilet], his wife, Kolliesha, left and went back to Ohio; Wesley is also trying to move), a website I visit often during the day (and at night), followed by an advertisement for Mercy ambulance. It is not uncommon for gangsters, mafia, to target a person’s loved ones in order to get even with the person. FOR THE RECORD. Mormon CIA Danites/Danettes now control Brooks Brothers. SCEPTRE box, YWCA Brooklyn security desk, September 10, 2018. 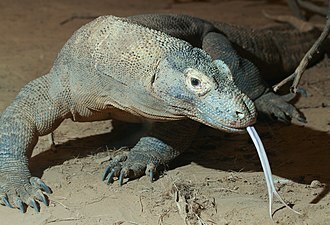 As a play on words that represents its focus on computer monitors (monitor lizard), Sceptre adopted the Komodo dragon as its mascot, and named it Brutus. The company regularly donated a substantial amount of its proceeds to the Zoological Society of San Diego. Since its founding, Sceptre has played an active role in the Los Angeles community. It has participated in numerous Cherry Festivals, Arcadia Lunar New Year Festival, and Walnut’s 2015 Relay for Life. My computer. I did not choose this desktop image for my computer; Mormon computer gremlins did. BARCLAY’S CENTER, HONDA INSIGHT, CON EDISON truck CON EDISON truck, NBA CAPTURE HISTORY, HALLOWEEN CITY, red bus that looks like The Kennedy Center red shuttle bus. Photo bottom: Citi bikes. Atlantic Avenue/Flatbush Avenue, Brooklyn, September 10, 2018. A baton or rod carried by a ruler as an emblem of royal authority. At times “scepter” is used in a figurative sense to represent kings (Eze 19:10, 11, 14) or authority (Zec 10:11), especially royal authority. In ancient Persia, unless the monarch held out the golden scepter, anyone who appeared uninvited before the king was put to death.​—Es 4:11; 5:2; 8:4. Jacob’s prophetic words that ‘the scepter would not turn aside from Judah’ indicated that the kingship would come to be the possession of the tribe of Judah and would remain such until Shiloh came. (Ge 49:10; see COMMANDER’S STAFF.) Centuries later the Babylonians, acting as Jehovah’s executional “sword,” destroyed the kingdom of Judah and took its king captive. This is alluded to by Jehovah’s words through Ezekiel: “A sword, a sword! It has been sharpened, and it is also polished. . . . Is it rejecting the scepter of my own son, as it does every tree? . . . For an extermination has been made, and what of it if it is rejecting also the scepter?” (Eze 21:9, 10, 13) Thus the “sword” treated the Judean “scepter” of the Davidic dynasty like every tree (to be chopped down) or like other kings or kingdoms that it brought to ruin. Psalm 2, a prophecy that Peter applied to Jesus Christ (Ac 4:25-27), showed that Jehovah’s anointed one would use an iron scepter to break the nations to pieces. (Ps 2:2, 6, 9; compare Re 12:5; 19:15.) As Jesus Christ always uses his royal authority in the right way, his scepter is one of uprightness.​—Ps 45:6, 7; Heb 1:8, 9. Psalm 125:3 states that “the scepter of wickedness will not keep resting upon the lot of the righteous ones.” These words give assurance that the righteous will not always be oppressed by those who exercise authority in a wicked way.